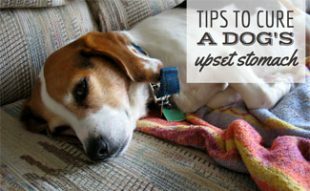 Home > Dog Health > Illness > Why Is My Dog Throwing Up Undigested Food? This question for our Pet Doc comes from Emily in San Diego. My Dog Is Throwing up Undigested Food. What Do I Do? My dog appeared to be overloaded with too much dog food (not people food). And then tossed it all. All of it. My dog is throwing up undigested food! But now she’s looking to eat again – maybe because it did not actually get digested before you vomited? This is the first time she’s really ever thrown up. When Did Toots Start Throwing Up? First time today about 45 minutes after eating her dinner of Hills Brothers AD (very rich), approximately 1/4 to 1/3 can. She had eaten her Nature’s Recipe 1/3 cup about 2 or 3 hours before. How Has Her Situation Changed? The throwing up just happened today. My concern is that she wants to eat, but I don’t want her to throw up all over again. What do I feed her or do I? It has appeared to improve her “bellyache“. Hi Emily. Thanks for contacting us about Toots. The short answer on what I would recommend is to fully assess how Toots looks to you overall. Would you know she was sick if you didn’t see her vomit? If the answer to this question is yes, then I recommend you see your local veterinarian for advice. If she is otherwise normal, then try withholding food for 12-24 hours. Slowly introduce her food after that time and reassess. If there is no change after 24 hours or any further decline at anytime, then seek the help of a local veterinarian. Hope this helps and let us know how everything goes. Good luck! 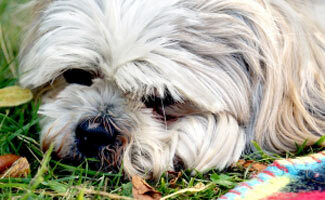 Is your pet throwing up undigested food? Or having another problem? Do a search in our community to see if your question has been answered. If it hasn’t, ask the Pet Doc! My yorkie had a new dental chew Three days ago and since has thrown up his food a couple of times. Do you think it was caused by the dental chew? Has your dog had the dental chew before in the past with no issues? My dog has been throwing up his undigested food for 3 days now and it’s whole pieces of kibble. He seems fine other than that. He’s drinking, peeing and pooing. We got him from a slaughter house rescue. He was at the vet 2 weeks ago for a check up and the vet said he is healthy. He is on a different food than he was on in the shelter but has been on it for almost a month now….any advice? My shih tzu throw up whenever eats Purina moist and meaty, even just one piece. I just did a final test, after she ate other food, then once that piece was taken, she throw up but retake all of them without issue any more. My other shih tzu has no problem. My dog has been throwing up his undigested food about 3 hours after eating. He then proceeds to frantically and happily eat it again. It’s gross, but I’m wondering why he’s vomiting it up in the first place? Should I be concerned? Lisa, sorry to hear! We cannot diagnose why her dog is throwing up, but the best thing to do is call your vet. Good luck and hope he feels better soon. Did you slowly transition your dog’s food or did you go from food A to food B overnight? My doge is puking its food.it eats and then pukes it all out. She continuously does it. 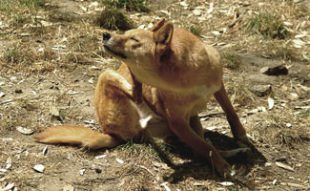 If your dog has been doing this for more than 24 hours, we suggest taking her to the vet. Best of luck and hope she gets well soon! My black lab eats her food very fast. She gobbles it down. I don’t think she chews it. We have bought different bowls so she has to slow down. But NO she just gobbles it down fast. Lately she has been throwing up the food within 2-3 minutes and it is all in tact. She eats way too fast. I tried putting a few kibbles on the floor in a row and she will eat them but she doesn’t chew. What else can I do? Have you tried adding some water to the kibble to help soften it? My puppy has been eating royal cannin since I got her when she was 3 months she’s now 9 months and she’s still with royal cannin she’s been throwing up undigested food for 3 days now… I don’t know what’s wrong with her I took her to the vet and they told me if she keeps it up to take her in for x rays.. any tips? Has this happend to anyone? my dog is 14 years her heart valve is having problems and shes taking 2.5mg vetmedin a day after taking it for few months she had an xray at the vet showing her liver is enlarged and was given Lasix 1 cc a day. now she eats cooked chicken but 8 hours after she eats it she throws it up after she tries to poop for 5 mins no poop came out. but the food shes throwing up looks like its not been digested at all. after seeing heart specialist and a few vets don’t seem like any better then before. shes on oxygen concentrator. after a lot of research my only guess is Lasix is a base and I m guessing that its having some effect on her digestive acid causing her not able to digest her food. it also seems like shes learn how to purposely throw up her food. because it seems if I don’t let her out she will keep the food in and a day or two later she will poop, but seems like there is blood in her poop. 1 vet suggested stop giving her med, 1 vet suggested put her to sleep, another suggested she needs to take Lasix. but Lasix don’t seems to be helping and shes does not seems to be in a lot of pain that she needs to be put to sleep. I m trying 1/2 the dose on her meds but seems like no meds at all is when there is a higher chance she wont throw up her food until it comes out as poop. she is losing weight every since she started on vetmedin. and worst after she start taking Lasix. 1st and 2nd x ray shows her heart is enlarged and 4th xray shows both her heart and liver enlarge. any chance her 4th xray missed a blocked intestine or mabe the vets missed something when she poop its red. what other things could of been missed ? intestine infection mabe? but her blood work don’t show any signs of infection. any ideas? John, how is your dog doing? If I could give any advice I suggest you contact 5 leaf.com this is what I’ve done as my 15 yr old was having diahrrea and constipation due to pancreatitis and he was in kidney failure. The vets don’t really do anything about this and your pet will get worse. It sounds like your may have indigestion and perhaps pancreatitis since you described constipation and vomiting. I learned that constipation can be an early sign of kidney failure so if you get your dog turned around by this company online you could save her. I’ve also started my dog on medicinal canibus for nausea, arhtritis etc. and he’s feeling much better with no medications. I have a 7 year old Doberman, The other night I noticed one of my dogs had thrown up there dinner . They had ate earlier in the evening about 5.30PM at 11.00pm I noticed the undigested food. Then the next morning I found it again, They ate at 8:00Am and I found it around 3pm. Then again after they ate dinner about 6 hrs later. None of my other dogs are sick, so I know it is my Doberman, since he sleeps out in the living room at night and they rest sleep with me. He acts fine and plays. I’m making a Vet appointment tomorrow for him. What could be going on? He pooping just fine as well. Any ideas?? I have a 7 year old maltese, who recent became very ill. She develop bladder stones and her bladder ruptured causing her to undergo two surgeries to remove the stones. She was in the hospital for 2 weeks because she was almost close to death. However like the fighter that she is she overcame but now she is having a hard time eating kr drinking without gagging or vomiting. Even Without eating she’s gagging and when she does try to eat anything solid its coming right back up. She had stopped eating and drinking for a while when she was very sick but now we have her on an appetite stimulant and simething for nausea and she wants to eat but she can’t keep it down. I have resulted to getting her baby food, apple sauce and Pedialyte and even with that,it is not coming up but she is gagging like she wants to throw it up after she eats it. The vet hospital have exhausted all efforts to try to find out what’s going on but to no avail we can’t find anything. There’s no blockages or obstructions in her stomach that could be causing this so I really want to find her some help but that’s anybody have any suggestions. I have a 15 week Aussiedoodle on the tail end of giardia and coccidia medicine. Yesterday he threw up a bit of his breakfast 5 hours after eating. Some digested looking and some undigested. It was after tearing around the yard with pent up energy. I fed him a smaller lunch about 4 hours later and spaced out a smaller dinner also. He seemed tired most of the afternoon and evening, but the day before he got a lot of exercise and didn’t nap much. Then this morning, after eating a little breakfast with blueberries, it came right back up. I took his food away, and I’ve been feeding him a little at a time with training. He’s acting normal. He’s playful. He’s pottying normal. He’s drinking water, but he’s not very interested in the small amount of food I left in his bowl. I have 1.4 year German shepherd he vomits all the food he eats. He also doing potty very dark black and some part is like blood. He is doing all these things from last 3 days. Please help me and tell fast what I should do about it please it is my request. I recommend this article to you about what your dog’s poop color means. I have a 3 year old Rottie. She gets fed at night at 10pm. I let her out in the morning, and she seems fine. By the time I get home around 3pm, she has thrown up all of her food. She wants to eat and drink water but can’t hold down the food at all. This is now day 3. Day 1: she had diarrhea, day 2: solid poop, and today diarrhea again. She’s acting completely normal (running, jumping, playing) besides those side effects. Just a fyi, she takes antacid medicine. Has she been holding her food down since you posted this comment? I’m sorry Liz, I’m not sure I understand your question. Could you rephrase? That is not nice to say. There are organizations that would charge less money for low income such as PAWS and other organizations. I have a pitbull and I noticed when he throws up is when he eats too fast. I just rescued a male blue pit from a bad situation but when he ate both times within seconds he threw it up and with the food was a thick mucus but once i got him to my house i feed him literally piece by piece and it stayed down and he holds water fine should i be concerned? I have an eight month old shepard beagle mix…she refuses food one day the acts like she’s starving the next day and will throw up her food undigested. Seems like she’s losing weight. She eats her own stool and vomit and anything else she can get her mouth on…plastic, wood, ect. Just started getting blood in her stool. I think the lady we bought her from lied about her getting her shots…are these signs of parvo?? 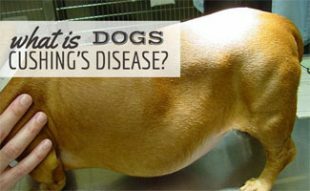 This article discusses parvo in dogs: https://www.caninejournal.com/parvo-in-dogs/. I recommend taking a look and if you still think your dog has parvo you should contact your vet immediately. Keep us posted and we hope she starts to feel better soon. my dog keeps vomiting what do i do? my 1 1/2 year old lab has thrown up twice a day for a week don’t know why food is partially digested smells very bad she does get into the corn field and eats some corn here and there. You should contact your vet and ask about your dog’s health. We have a 6 month old French bull dog. He eats blue buffalo puppy dry food. He throws up periodically. Saturday he threw up about 3 hours after he ate a little of his kibble and it came out undigested. Today (Monday), 8 hours after he ate, he threw up twice, also undigested kibble, mixed with something that was not food that he digested. He is constantly eating things he shouldn’t be….example wee wee pad, our Christmas tree (fake). He is behaving normally. I am concerned that he could have a blockage due to all the things he has eatened. Should I be worried? We are first time dog owners and are very concerned. Should we take him the vet? Yes, you should take him to the vet. Better safe than sorry and this could be life threatening. Please keep us updated, our thoughts are with you. Yes it’s always the same idiotic response… “Go see your vet.” OBVIOUSLY that would be an option but if we are here looking for answers, “Go to the vet.” isn’t one of them. If you can’t give any other answer than that then don’t say anything at all. It’s so infuriating to scroll through dozens of comments giving the same moronic response. Go to the vet is obvious, IF it’s necessary. We are looking for answers of weather it is something that NEEDS a vet visit since there are many instances where it is something mild. A vet isn’t required for every little thing that goes wrong. Hello! I need some advice, as our vet is closed until Monday. I have a 6 month old Boston terrier. She is rambunctious and so sweet. I brought her home at 12 weeks. She is on ‘the honest kitchen’. She was on a grain free, but I had noticed that she always seemed hungry. Due to this, I mixed a grain free recipe variety with one that contained grain. She did fine for a few days, but started vomiting on Thursday. I immediately put her on boiled ground turkey and a bit of rice. The next morning, as she had made it through the night without vomiting, so I had thoughts we were ahead of this thing. Once I arrived home from work, I was informed that she vomited again, so I took out the rice. Then she vomited again last night, then during the night. Then this morning. Then this afternoon. She is playful, happy, NOT dehydrated (thank goodness). But we are just talking about boiled ground turkey. I don’t get it. By the way, first time small dog owner. Help!! Typically the recipe is with boiled chicken instead of boiled turkey to help your dog’s digestion. Your dog may have an intollerance to the turkey. Make sure you are doing the appropriate amounts. If you do too much meat it may cause more harm than good. Checkout the comments here for some guidlines on proportions: https://www.caninejournal.com/community/boiled-chicken-and-rice-for-dogs/. I would assume that mixing the grain free with the grain dog food caused her to have some digestive issues. It’s important to transition your dog slowly. 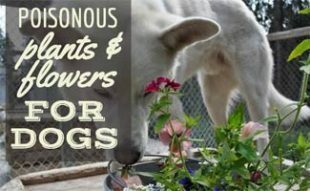 Doing a 50/50 mix probably caused her to be ill. Here’s an article that will help you transition your dog to the 50/50 mix your are trying to get her to: https://www.caninejournal.com/changing-dog-food/. Good luck and please let us know if we can help in any way. And keep us posted on how she is doing. Hi, I have a 12 year old American bulldog and she has now been throwing up for about 2 weeks this is all undigested food in a slimy mucus. We have tried putting her on liquidized foods but she still seems to be throwing this up every time she eats. She is now throwing up about 5 times a day. I really want to take her to the vets but I am unable to afford the vet bill. I am now very worried this could be serious. Does anybody know what this could be? Unfortunately, you need to take her to the vet. Two weeks throwing up is severely life threatening. I’m sorry you are unable to afford the vet bill at this time. If you can find a way to get your dog to the vet you should try and do so. Our thoughts are with you. Please keep us posted on how you dog is. I have a 5 year old male yellow lab and has started throwing up. I thought it was his milk bones I give him in the evenings, well I found out it’s not that. He has been on the same food for a long time 3 cups dry 1/2 can wet I’m going to try rice with chicken broth. Hi Darlene, how is your dog doing this morning? Does it seem like the chicken and rice helped?